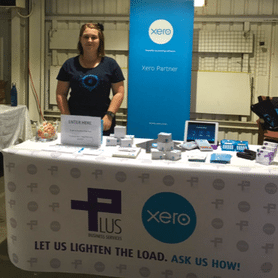 The Plus Business Team attended the Newcastle & Hunter Truck Show & Transport Awareness Day last Saturday, 22nd October 2016 at Maitland Showground where we were fortunate to showcase our products and services. We had the pleasure of meeting many passionate business owners from the transport industry, who shared with us countless exciting stories about their businesses, as well as the challenges they face in the transport industry. From all the team at Plus Business Services we would like to say a huge thank you to everyone who came along and visited us. We would also like to say congratulations to S.Rutherford of Sawyers Gully on being the lucky winner of our competition that was held on the day. Thank you to everyone who entered and we look forward to speaking to those who signed up to receive our FREE Business Health Check. If you would like to know more about how we can ‘Lighten The Load ‘ for your transport business then please contact the Plus Business Team here.